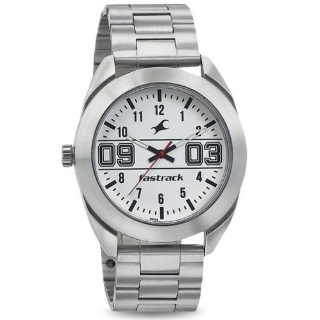 TataCliq Offer - Purchase Fastrack Fastrack 3175SM01 Varsity Analog Watch for Men worth Rs.1595. This analog watch from Fastrack's Varsity collection is specially made to exhibit masculine charm. Exhibiting a white shade, the round dial is protected by a mineral glass and showcases plain three hands with numeric markers that elevate its look. Made of high-quality stainless steel, the strap comes in a shade of silver that lends it a rich look. No coupon code needed. Shop now!